MJR! 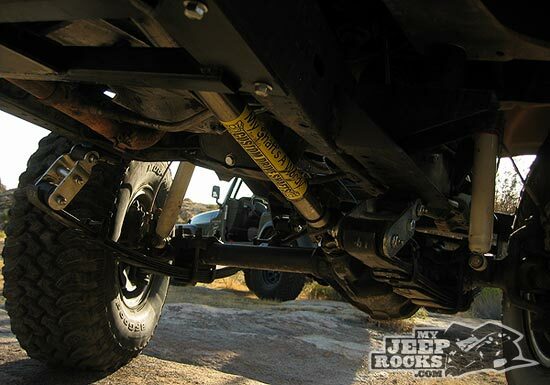 Tom Wood's Ultimate Travel Driveshaft and Super-flex U-Joint - MJR! Following our installation of the JB Conversions LoMax 4 to 1 gearset and clocking our Dana 300 transfer case, we were in need of a longer front driveshaft. 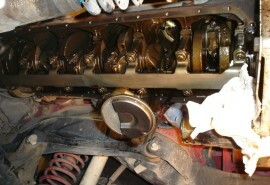 The clocking ring is about 3/4″ thick, which moved the transfer case toward the rear. The shaft in action – Mojave Desert, CA. 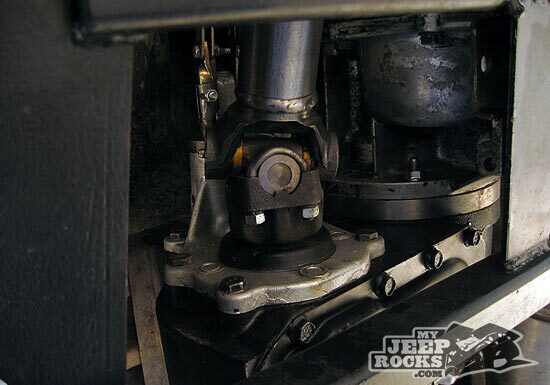 The transfer case ended up nearly horizontal, which put the front output yoke over 3″ higher than stock. 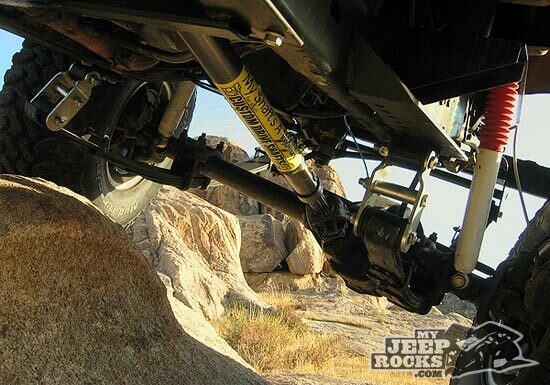 All of this means our stock front driveshaft was useless at 31 3/4″ compressed with 3″ of travel. We needed a driveshaft with a 34 1/2″ running length, or basically right at the fully extended length of the stock driveshaft. 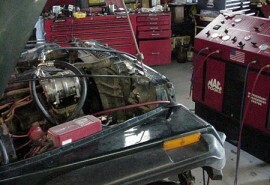 We also had plans to swap in a Dana 44 front axle out a Scout in a shackle reverse configuration. 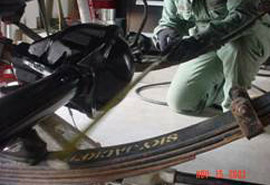 The shackle reversal would require substantially more front driveshaft travel due to the axle housing moving toward the rear of the vehicle under compression and toward the front of the vehicle during extension of the spring. 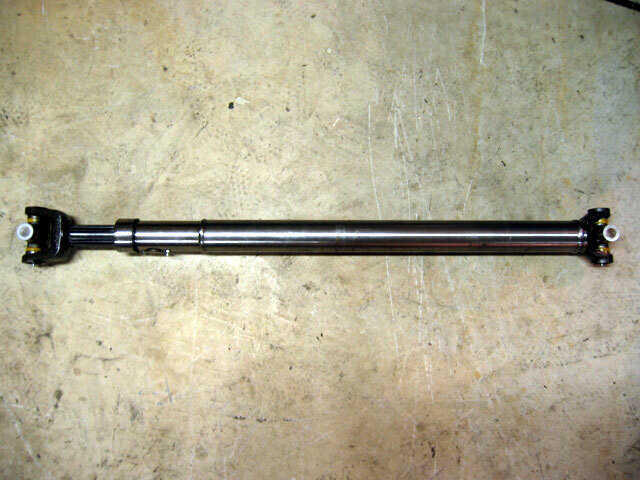 Since we did not really want to purchase an expensive front driveshaft for our current running length, and lengthening the stock 3″ slip shaft would have been money down the drain, we decided to give Tom Wood’s Custom Driveshafts a call to see what our options for a long travel shaft were. Since our shackle forward setup did not require much compression on the driveshaft from normal running length of 34 1/2″, we decided to try an Ultimate Travel driveshaft with a 10 1/2″ slip set up for a compressed length of 33 3/4″. 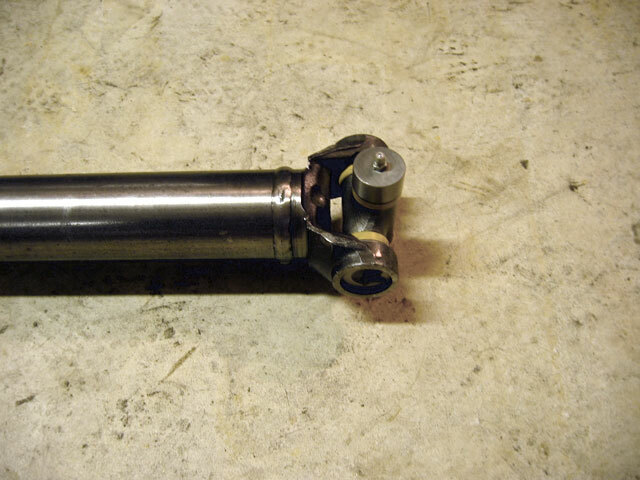 This left us with about 3/4″ of spline showing on the shaft, enough to allow for a bit of compression yet essentially as long as we dared to give us a shot at using the same shaft length for the shackle reverse setup. 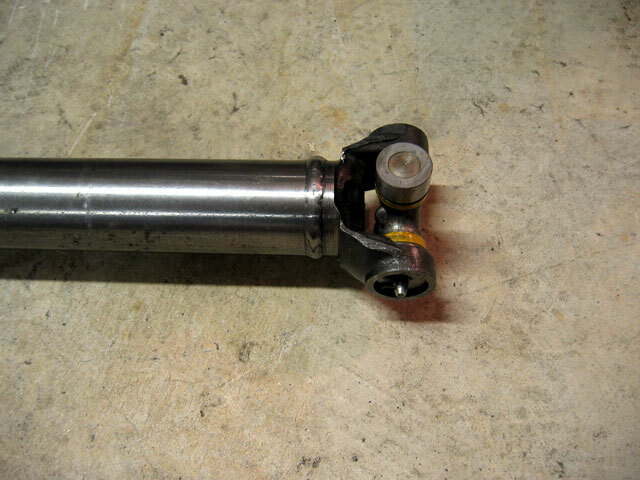 At worst we would have to retube the shaft with the shackle reversal and Dana 44 swap. 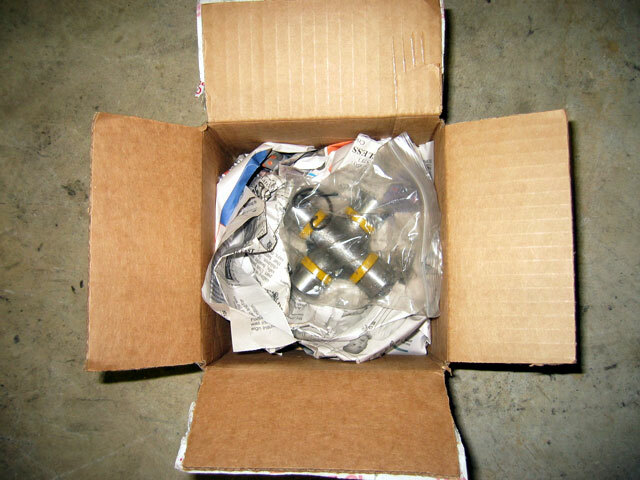 The driveshaft arrived in excellent packaging, in polished clear coat finish, with u-joints already installed. On our test run, we couldn’t help but see what happened in two wheel drive high with the front hubs locked in. 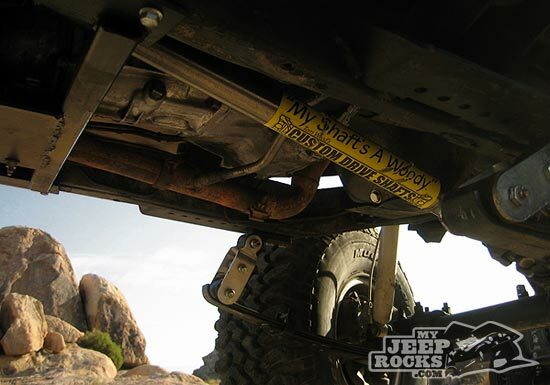 Sure enough, above about 20 mph the driveshaft started growling like a grizzly. (We didn’t do this for long!) This is an important point for folks without locking front hubs, since you will not be able to leave the driveshaft installed on the highway. 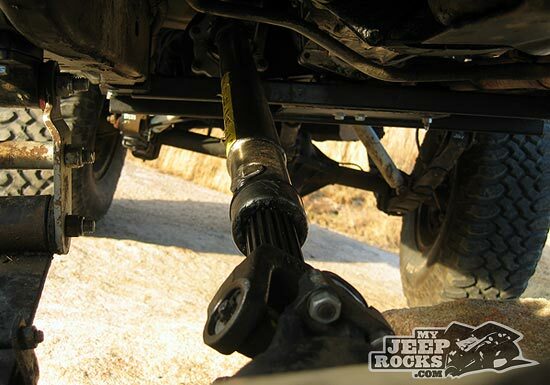 This leads us to believe that not many folks without locking hubs will be willing to install and remove the driveshaft each time they hit the trail, so this shaft is not for everyone. Likewise, if you plan on doing any highway 4WD use, this driveshaft is not for you. 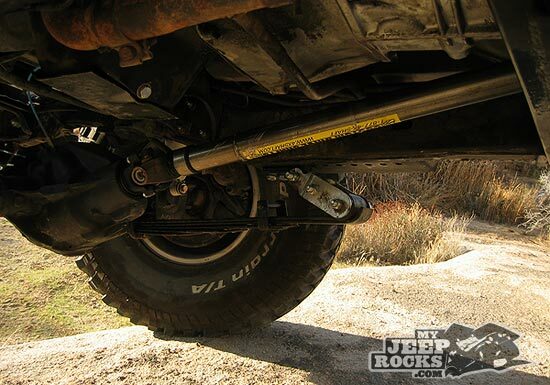 If you’re like us and you want a heavy duty driveshaft that will give impressive travel capability in a rig meant primarily for trail use, this might be the shaft for you. So once again, we got on the horn with Tom Wood’s Custom Driveshafts and started asking about high angle CV joint options. I thought for sure we had not only blown our budget due to this oversight, but that we might also need to retube the driveshaft we had just purchased! However, all was not lost due to the ingenuity of the guys at Tom Wood’s. After a few minutes of Q&A with one of their technical sales folks, we decided that a high buck, high angle CV shaft was not necessary. 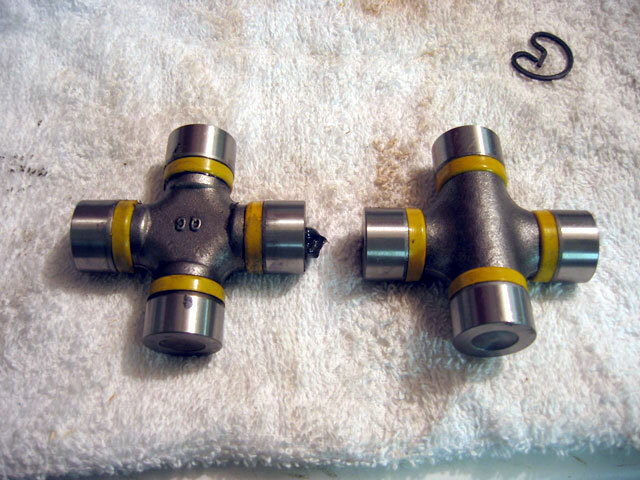 They told us that in spite of the availability of higher angle CV shafts, this would put us in the “Just Empty Every Pocket” category for sure in comparison to their proposed solution: The Super-Flex universal joint. A couple days later, the Super-Flex joint arrived in the now expected good packaging. This u-joint uses offset trunnions to allow an additional 10 degrees of operating angle for up to 40 degrees of flex without grinding on the yokes. Since the trunnions are offset, the shaft moves in an eccentric, which will certainly lead to vibration at the 30 degree+ operating angle we will be running it at. Since we have already resigned to the fact that we will not be running the front driveline over about 20 mph, this should not be a problem. 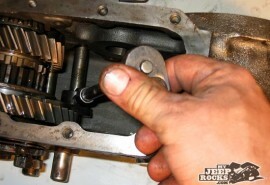 We swapped out the standard universal joint and put it in the spares bag. As an added bonus, the offset trunnion put the end of the driveshaft yoke forward (away from the transfer case cross member) by about 3/8″ from where it was with the standard u-joint. You can see this in the pics here. This was enough to solve our driveshaft to cross member clearance problem! Even under trail conditions at full flex, we have yet to rub the driveshaft on the crossmember, but it is nearly touching (within 1/8″). Talk about utilizing all our tolerances! Without any special output flange conversion or even yoke clearancing, we now have a bind-free front driveshaft at a very reasonable price. Once again, due to the vibration issues associated with the offset u-joint and our long travel driveshaft, we unlock the hubs any time we’re coming off the trail and out of 4 low. We think that’s a small compromise considering the simplicity and low cost of this setup, especially since we don’t plan to use four wheel drive on the highway anyway. The CJ has now been through a week in Moab, a day at Tierra Del Sol Safari, and several local mountain and desert runs without a hitch. Action shots in the rocks ….